The Isle of Wight is pure paradise for those looking for beauty and seclusion whilst on holiday with the one you love, as the island is full of gorgeous little villages, stunning, sandy beaches and has a rich history with a lovely warm climate, making it the ideal location to find a cosy cottage to stay in for a romantic break. Your other half won’t thank you enough if you take them to one of several romantic cottages on the Isle of Wight where the blissful serenity of the area will seep under your skin as the sea-breeze drifts by. These quixotic accommodations are simply perfect for a secluded hideaway either on the coast or deeper into the countryside, and we have a great selection of Isle of Wight cottages to choose from to make your break special. Whether you are newlyweds on honeymoon, after a spontaneous weekend away, are celebrating a special anniversary or are leaving the kids behind for a much needed break for the two of you, we have plenty of stunning romantic cottages for couples in the Isle of Wight to suit your personal needs. Some cottages that are simply perfect for romance are modern and roomy and come with soothing hot tubs, soft beds and furnishings, tranquil swimming pools and inspiring sea views, sure to bring about passion in you and your partner. Others are snug and homely with large rugs, wooden beams and cosy log fires – lovely for snuggling up around with your loved one on colder nights. To make a romantic cottage break all the more romantic, a lot of our cottages are hidden away down country lanes, where wonderful winding walks are literally at your doorstep every morning. Other cottages are based overlooking the tranquil sea, where the sounds of the waves provide a soothing atmosphere. There is nothing more romantic than watching the sun sink beneath the horizon on the surface of the sea, and this can be done every night on a self-catering Isle of Wight holiday in your beautiful cottage. You may wish to spend an evening with your loved one at a restaurant as romantic as your cottage some evenings whilst on your break in the Isle of Wight, and if so, there are plenty of places to try. The George in Yarmouth has a relaxed yet romantic setting overlooking the sea, where you can dine outside opposite the dipping sun and underneath the twinkling stars by soft lamplight. The food is considered some of the best on the island and your partner will know they have had a special treat after an evening here. 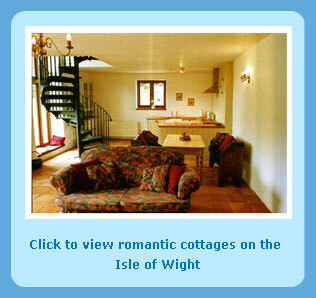 Another romantic eatery to visit in the Isle of Wight is the award-winning Royal Hotel restaurant. With succulent and mouth-watering local food, you will feel pampered and spoilt in the hotel’s grand dining room. 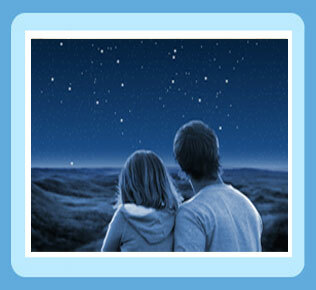 Isle of Wight holidays are great for romantic couples, and after a week of walking hand in hand amongst the stunning scenery, curling up by the fire under a blanket or gazing up at the blanket of stars on the beach late at night, you will return from your break more in love than ever! Today's busy lives leave little time to stand and stare. The Isle of Wight is one of the nicest places in Britain to soak in all that natural beauty and charming villages. A holiday on the Isle of Wight is a revelation to people who did not appreciate the step back in time that occurs once they are on the island. The island is dotted with lovely period buildings, ancient pubs and fine tea rooms. It is a lovely place to relax and remember what life is really about.